Specially modified circuitry in the Dunlop Jimi Hendrix Octave Fuzz Pedal adds an octave overtone to the fundamental fuzz effect. This gives the unique edge heard on many of Jimi's solos. 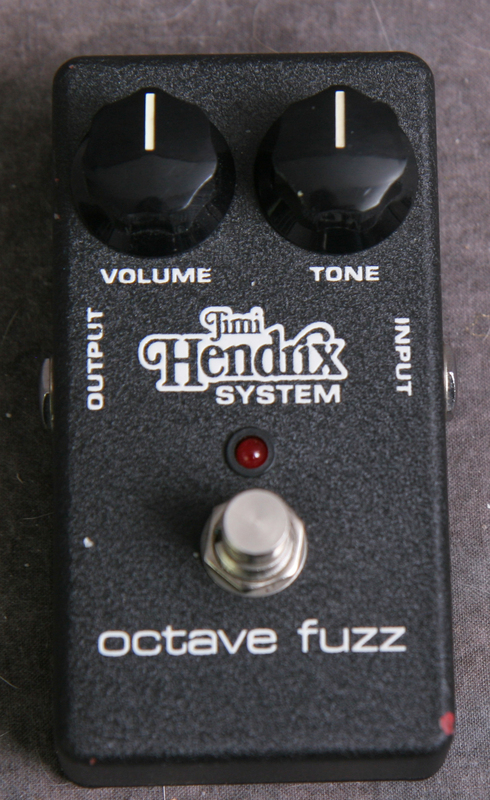 The Octave Fuzz Pedal features 2 external control knobs: volume and tone. A red LED indicates when unit is on. Requires AC adapter or 9-volt battery. No box.